It’s the beginning of spring and of course you’re excited to say goodbye to those long, cold winter days and finally spend some time outside enjoying the warm weather. And naturally one of the top things you want to do is finally get on your horse and start riding again! While you might be ready to go for a long trail ride or start showing again, your horse has probably been a couch potato all winter long and you’re going to need some time to get your horse back into shape. Most likely your horse enjoyed his time off and appreciated the mental break from work, but his exercise routine was probably nothing more than walking from the feed bin to the water trough to his favorite napping corner. At most, he may have galloped around a few times when playing or was turned out. So unless you live in an area where the climate is mild or you were able to ride in an indoor arena, your horse is most likely out of shape and you’ll need to do some “spring training” to get your horse back into shape. Getting your horse back into good physical condition is important, so take some extra time and plan what you have in mind for his training schedule. The amount of time it will take to get your horse back into shape really depends on his age, his general health, and how physically fit he was before winter set in. Generally speaking, you should count on anywhere from 6 to 8 weeks of regular exercising and conditioning in order to get him ready for the challenges of regular trail riding or competitive showing. Depending on your horse’s fitness level, you’ll want to ride 4-5 times per week to properly get him back in shape, giving him a couple days off so he has time to rest and recover. Every horse should have an individualized fitness plan, just like people, so the first step is to develop a well-planned fitness schedule. Your horse trainer or even your vet can help you come up with a customized routine and exercises for your horse that will help condition him and keep him healthy and sound at the same time. One of the biggest mistakes people make is asking for too much, too soon from their horse, which can result in injury and derail the training program, potentially jeopardizing your riding or showing schedule for the entire season. Once you have come up with a training plan for your horse, keep notes each day so you can keep track of your horse’s progress and see when he’s ready to move to the next level in training. You’ll want to write down as much detail as possible, such as the amount of time you spent in the round pen, did your horse move smoothly in both directions, how did your horse respond when you did a certain thing, what was the weather was like, did he spook at something, what should you do different in the next session, and whether or not your horse is ready to move to the next step in training (your horse trainer can definitely help you out here). It’s a lot easier to plan out in advance what you’d like to accomplish for the day – that way after your ride or exercise session with your horse, you can write down what you had planned on doing and what you actually accomplished during the training. Here’s an example of an exercise fitness tracker that you can download and use to help log your horse’s progress. In addition to creating a spring training program for your horse, this is also the time to assess his body condition score and adjust his feed accordingly. Your horse may have lost some weight during the winter and will need some extra rations to get his weight back up, especially now that you are putting him back to work and exercising him regularly. Conversely, if your horse has put on some extra pounds during the winter, the increase in exercise and conditioning will help him drop the extra weight. Also, make sure he’s up to date with his farrier visits and is properly shod so he can safely get back to work. Hopefully you’ve been keeping up with his regular schedule and he’ll just need to be trimmed and fitted with new shoes. As you are getting him back to work now, it’s a good idea to use protective wraps (splint boots or polo wraps) and overreach boots whenever you are exercising or riding him. This extra protection can go a long way in helping to prevent injuries. As you begin getting your horse back into shape, it’s best to start off by returning to some solid basics at first. The great thing about starting at the beginning is that if your horse doesn’t have any physical or behavioral issues, then you can quickly progress to the next step. Of course every horse is different – some horses can go all winter without being ridden and you can tack them up on the first day of spring without any problems. And other horses, on the other hand, can act like they’ve never been ridden before during the first few rides. So take it slow. It’s a lot easier to move things along from a basic starting point than it is to have to back up training if something goes wrong. To start, get a halter and lead rope and take your horse for a walk away from the barn to see how herd-bound he’s become. Remember, for the last few months your horse has been idle and enjoying the company of his pasture buddies or stall mates. So one of the first things you’ll need to do is help your horse refocus his attention on you instead of on his equine friends. Remind your horse to relax and walk quietly next to you, respecting your space as you move further away from the barn. Next, put your horse in a round pen to see how he’s going to act. You can move him around both directions to see if he’s going to focus on you or if he wants to buck and play. This will give you a good idea as to how he is going to act both mentally and physically with you safely on the ground. Some people work their horse in the round pen for the first few days before they decide it’s time to ride, while others will ride their horse immediately after they’ve had their horse in the round pen. Each situation is different depending on the horse, his attitude and his physical condition. Once your horse is ready to move to the next level and you can start to ride him, you can move him into an area where you can start with some simple exercises, such as a large enclosed arena. Some trainers recommend that you spend the first week just walking your horse (anywhere from 20-30 minutes per day) and ideally working with your horse 4-5 times a week with a couple days off in between so he can rest. And some horses may be in better shape after the winter rest, and you can begin to introduce faster gaits into their training sessions after a few rides. The main thing to remember is that if your horse has been kept in a stall all winter and is out of shape, you definitely do not want to push him too hard, and faster gaits might be too much for him at first. While you’re riding your horse, watch his breathing and watch how he sweats and cools down; keep an eye out for any signs of soreness or lameness while you are getting your horse back in shape. A great way to monitor your horse’s fitness level is to learn how to take his pulse, comparing his pulse rate before and after each session. Your horse’s pulse rate should return to normal within 10-15 minutes following exercise. If his pulse remains high for longer periods of time, you’re probably pushing him too hard and you’ll need to scale back a bit on your training schedule. Remember – the key here is to make sure you advance slowly and do not rush your horse’s conditioning program. Start your warm up by walking in both directions so your horse can get a chance to loosen up. 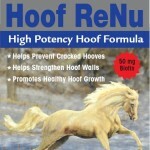 Walking is a great way for your horse to build muscle tone without too much strain. At the walk, you can practice straight lines and large circles, building up to smaller circles or tighter turns as your horse starts to loosen up. While you are walking, this is the perfect time to work on basics such as leg yielding, moving the shoulders, side passing or backing quietly. You can also practice serpentines or Figure 8’s to work on lengthening and shortening your horse’s stride. Your horse will probably be a little rusty at first, but keep working on these basic maneuvers and most likely you will see improvements after a few rides. Once your horse is ready to move to the next level, you can start to include trotting in your schedule. Just like above, you’ll start with walking first to get your horse to loosen his muscles, and then you can slowly introduce the trot. Start out with short trotting sessions, separated by waking in between. Start off trotting in both directions 5 to 10 minutes each day, first with a slow, easy jog and then moving up to a faster trot (eventually long trot) as your horse continues to progress. Initially you’ll want to start off trotting mostly on straight lines and big, loose circles. You can later progress to smaller, tighter circles as he builds muscle strength. You can also work on transitions, serpentines and Figure 8’s at the trot, which will help keep the session interesting for both you and your horse. Some horses may need a week or two working on walking and trotting before they are physically ready to move to the next level; other horses that are in better condition are ready more quickly to begin loping. When your horse is conditioned enough to walk and trot comfortably, you can start adding in loping sets as your horse continues to build wind and strength. After warming him up, start with a steady, easy lope in both directions. You can begin with straight lines either on the sides or through the middle of your arena. As your horse progresses, you can then add circles at the lope and eventually practice changing leads (of course he may be rusty at first). When you’re at this level of exercise, make sure you give your horse plenty of breaks in between and watch for early signs of fatigue and stop before he reaches this point. Keeping your sessions around 30 minutes long, you can have your horse warm up for 5-10 minutes; spend 10 minutes trotting/loping, and then 10 minutes of cool down. As your horse gets more conditioned, you can slowly add time and speed to the sessions. Here are few sample schedules to help give you some ideas; remember, each horse is different and you should work with your trainer and veterinarian to evaluate your horse’s condition and plan his work out sessions. As you move along in your training, make sure you intersperse walking/trotting/loping with breaks in between and finish with a cool down at the end of the session. Also, make sure your horse has a day or two off each week and if you can, try to vary your activities to include trail riding, arena riding, and even include cavalettis or poles if available. Depending on your horse’s age and the condition he’s in, this might be just the beginning of his fitness schedule. And for other horses, this program might be too aggressive and you would need to go even slower. If your horse is breathing okay and his heart rate recovers quickly, then you can gradually start adding more time and faster gaits. But if your horse becomes fatigued and is worked too hard or too fast, there’s a high risk of injury to his ligaments and tendons. 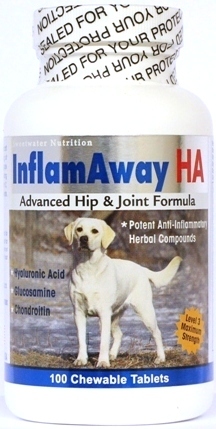 Now that you’ve put your horse back to work, it’s a good idea to keep him on a joint supplement – InflamAway HA-200 is ideal as it has 200 mg. of hyaluronic acid per serving, along with glucosamine, chondroitin, MSM and natural herbs. So remember – take it slow and monitor his progress with each ride. Let’s hear what exercise programs you use to get your horse back into shape. Thank you for a good slow start to getting my boy back into shape. I like your schedule and agree completely about going slow but be consistent.